The Chicago White Sox haven�t had a lot of things to boast about in their 105 year history. World Series championships have been few and far between, in fact the Sox have been rumored to be moving more often then they�ve won titles. But there�s one area that the Sox can hold over most of the other clubs in baseball and that�s in the quality of their announcers. Four men who have broadcast White Sox games have been honored by inclusion into the Broadcaster�s Wing of the Baseball Hall Of Fame. The roll call sees Jack Brickhouse (Radio 1945, TV 1948-1967), Harry Caray (Radio 1971-1981, TV 1973-1981), Bob Elson (Radio 1944-1970) and Milo Hamilton (Radio 1962-1965). In the future �Hawk� Harrelson may join those exclusive ranks. The Sox have also had some wonderful broadcasting teams, individuals who meshed and brought all the excitement, agony, wins and losses to Sox fans. Among the better teams were Brickhouse and Vince Lloyd (TV 1956-1964), Don Drysdale and Harrelson ( TV 1982-1985), Harrelson and Tom Paciorek (TV 1990-1999), Elson and Hamilton (Radio 1962-1965), Elson and �Red� Rush (Radio 1967-1970), and John Rooney and Ed Farmer (Radio 1992-2005). But standing head and shoulders above those outstanding teams was the duo of Caray and Jimmy Piersall (TV and Radio 1977-1981). Piersall was a colorful, controversial character during his years in major league baseball, but remember this before you dismiss him as something of an clown. He played for seventeen years. He must have been doing something right. Piersall also was a two time All Star, a two time Gold Glove Award winner and may have been one of the finest defensive outfielders ever to play the game. Hall Of Fame manager Casey Stengel said Jimmy was a better defensive outfielder then Joe DiMaggio. In those seventeen season Piersall handled 3,851 chances....he made a grand total of 39 errors. When Jimmy came to Chicago to join Caray in the Sox broadcasting booth, things were never the same again. Gone were the days of �happy talk,� of �Friendly Bob Adams� and kibitzing about gin rummy games. Harry had been telling it like it was since he joined the Sox in 1971 and now that Piersall was on board, no one and nothing was off limits. Both men asked no quarter and gave none in return. Everything was tackled...players, fans, even owners. The fans loved it. At times Caray and Piersall were the only reason to even follow the Sox, as some of the seasons they were together were some of the worst in franchise history. Since leaving the Sox early in the 1983 season, Piersall has remained in suburban Chicago. For years he has been a regular on WSCR radio, still sharp in mind and tongue at a sprightly 75. I caught up with Jimmy early in the evening where we spent an hour and a half talking about good times and bad.. of names from the past like Caray, Bill Veeck and Mr. and Mrs. Tony LaRussa, and names from today like Jerry Reinsdorf. We talked about the how and why of his popularity (along with of course, Caray�s.) We remembered 1977, and discussed the Sox of today. We also turned off the path for a few minutes to talk about some of Jimmy�s days on the field, of the Sox teams he played against in the 1950's and his unusual ability to get to know U.S. presidents like John Kennedy. ML: Jimmy a lot of White Sox fans think your association with the team began in 1977 but technically it started years earlier. You played against the Sox for many years starting in the mid 50's. 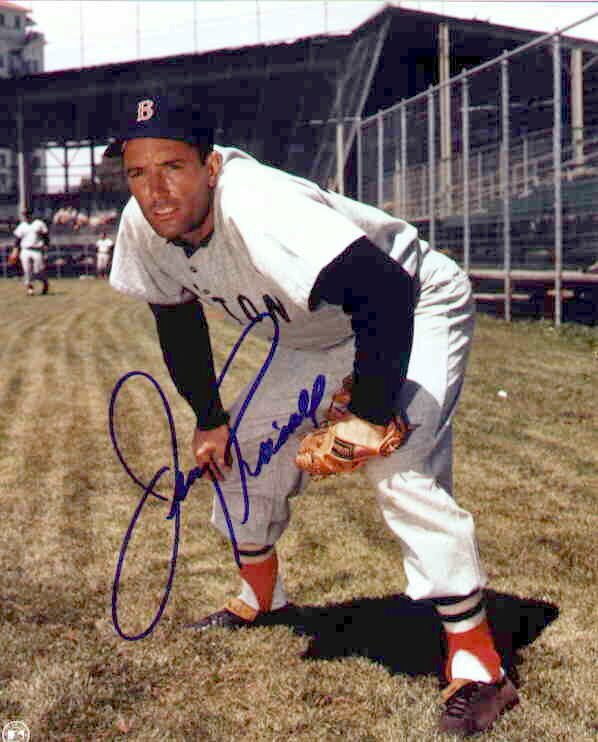 The Sox in those days had guys like Luis Aparicio, Nellie Fox, �Jungle� Jim Rivera, Billy Pierce, Early Wynn and Sherm Lollar. What was it like to play against those teams? ML: After you retired from baseball you eventually found a position with the Texas Rangers in the mid 1970's. On May 10, 1976 you made an appearance in the Sox broadcasting booth and did a few innings of the game with Harry Carey. (Author�s Note: The Sox would win the game 7-6 in 11 innings.) Something happened that night in the booth, a chemistry connection between the two of you. The conversation was relaxed, funny, insightful. Lo and behold in 1977 you were part of the Sox broadcasting team. How did you get the job? Did Harry go to bat for you? Did Bill Veeck contact you? ML: Before we talk about the on-field miracle of 1977, I wanted to talk to you a little on the broadcasting end of that season. First off opening day was in Toronto, a miserable day weather-wise with snow, wind and freezing temperatures. (Author�s Note: The first game in Toronto Blue Jays history saw them beat Ken Brett and the Sox 9-5.) It was your first game in the booth and then afterwards you had to do the postgame interview with Jays winning pitcher Jerry Johnson. You were telling me that turned into an adventure...what happened? ML: Your primary partner that year and for most your tenure with the Sox was Harry Caray. In those days he was still in his prime, before the health issues came up. What made him such a great broadcaster? and what did you learn from him? ML: I guess this is a good time to ask your thoughts on Bill Veeck. To many Sox fans he was the Pied Piper for the common fan, he saved the franchise from moving to Seattle in December 1975 but others have suggested that the man the fans saw, was different from the man who tried to run the franchise. Is that a true statement? JP: �I would say so. He was a fraud. He never had any money to run the team with. Harry didn�t like him either. One day he was talking with some people, I happened to be walking past, and I heard him say �(Eric) Soderholm just can�t play third base.� Another person then said, �yea but who else are you going to be able to get?� That just about sums things up. ML: One of the big controversies about 1977 was the so-called �showboating� by the Sox players. I mean the �curtain calls�, the Na Na Hey Hey Kiss Him Goodbye song from Nancy Faust and generally the way the Sox won games that year... a lot of last minute comebacks. Sox fans demanded and started this stuff, not the players, but teams like the Royals took personal offense to it. What were your thoughts on all that? Especially in light of what goes on today in major league baseball. Jimmy in the Sox broadcast booth with Harry Caray! ML: Returning to broadcasting baseball Jimmy, you were a guy who played hard all the time, you asked no quarter and gave none and your broadcasting style was the same way. Some players didn�t appreciate the things that you and Harry sometimes said. You were telling me a story about Ralph Garr one day coming after you on it. Can you explain that a little more? ML: One player you did get along with and whom you had a lot of respect for was Chet Lemon. Why was that? ML: In July 1980 you had a confrontation earlier in the day with Rob Gallas, then a reporter for the Daily Herald and then that night you and Mike Veeck got into it. Talk to me about the circumstances surrounding that? ML: During the late 70's and 1980 very little was going right for the club. They were bad on the field, attendance was dropping, they suffered the stigma of �Disco Demolition,� and there were rumors starting that Bill Veeck was interested in selling. Edward DeBartolo was interested in buying. ML: Sox ownership decided to go with the SportsVision experiment in 1982 and you were removed from the play by play booth while Harry left to go to the Cubs. You wound up doing the pre and post game shows. The Sox started out like gang-busters but by July were a .500 club, then one night Tony LaRussa apparently had it with some of your comments and drove down to the studios after a game and confronted you. I have never heard of such a thing happening before or since at least until the Steve Stone / Cubs controversy. What happened that night? ML: It almost seems like the Sox organization was split over Tony. Some thought he would turn out to be a great manager and some actually wanted to fire him around 1982 and 1983. Jerry Reinsdorf appeared to always be on his side. Why was that? ML: The 1983 championship season began in Texas where the Sox lost 5-3 after having a 3-0 lead after the first inning. Greg Walker and Scott Fletcher made some key errors and after the game you offered some comments. 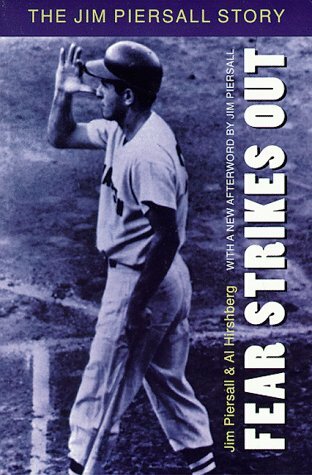 Now I didn�t hear what you said because I was in Arlington for the series but I know the next night many of the Sox players and coaches were talking about your firing during batting practice. Do you remember what you said and why you were being fired from the TV side? ML: Bob Logan�s book �Miracle On 35th Street,� which came out after the season ended, had an entire chapter devoted to the controversy generated between the Sox owners and you, Harry and the Chicago media.. Among the comments from Reinsdorf was �I�ll be up in heaven looking down before Piersall broadcasts another one of our games.� He also said, �the only people I believe were unfair to us and carried personal vendettas were Harry Caray, Jimmy Piersall and Bill Gleason.� Your reaction and why this intense dislike? ML: In the past 24 seasons, since current ownership took control, the only teams in major league baseball to have not made a World Series appearance has been the White Sox, Devil Rays, Rangers, Mariners, Cubs, Pirates, Astros and the Expos/D.C. franchise. The Sox have had 14 winning seasons but the ultimate reward has escaped them. Why? ML: For many years you�ve been a baseball analyst on WSCR radio. There have been times when the on-air hosts have belittled Sox fans particularly in the area of attendance. I recall reading about one of your responses to that criticism and it went along the lines of, �what do you want? They are drawing almost two million fans for a team that�s been just a little above average. If the Sox really start to win, the fans will come.� Is that an accurate representation of your comment? ML: What kind of financial shape are the Sox in today and what about the future? Do you know anything along those lines? ML: What do you think of Ozzie Guillen�s �smart-ball,� attack and for that matter the Sox decision to get away from four years of station to station all or nothing type baseball? ML: Jimmy this doesn�t apply at all to the Sox but I found this so interesting I wanted to ask you about it. Is it true that you knew John Kennedy before he was president and that you two were friends? ML: Jimmy you�ve been a big part of Chicago sports now for over 25 years. All in all, any regrets about coming to Chicago and getting so closely associated with the White Sox? Hear Jimmy Piersall inside the White Sox broadcast booth! You'll need the RealAudio player to hear the audio clips. Get one for free here! July 15, 1977 - Boston at White Sox. By now Jimmy was a part of the Sox broadcasting team, working with Harry Caray as well as doing some play by play on his own. Here�s an example of the later. On this night both divisional leaders the Red Sox and White Sox hooked up before a big crowd at Comiskey Park. The Sox shot out to a 7-0 lead in a game they�d hang on to win 9-7. Chet Lemon, one of Jimmy�s favorites was at the plate trying to shake off previous at bats where he hit the ball hard every time only right at somebody! Again it�s Jimmy Piersall behind the microphone. Courtesy: WMAQ Radio. April 23, 1981 - Baltimore at White Sox. It was the first game of a double header sweep of the Orioles and Chet Lemon would have a big day. This two run single off Dennis Martinez was part of a seven run 4th inning. The Sox won going away 18-5. Chet had four hits and four RBI�s. Joe McConnell joins Jimmy Piersall in calling the action. Courtesy: WGN-TV.